Modern society has this peculiar fascination with peering into other peoples lives. Tabloids, gossip sites, and reality television seem to have this power to draw in countless curious viewers and readers. Many are interested in finding out about the latest scandal or breakup occurring in your typical celebrity’s life. Despite the real pain and anguish these public figures have to cope with, people have no shame in eating it up. Even the nightly news contributes in some degree to this in their excessive coverage of the hottest stories on the latest tragedy or natural disaster. There is indeed a strange fascination that can be found in viewing the downfall of others. You might feel a sense of sympathy as you try to relate with the pain of the victim. You might get a sense of relief as you find comfort knowing that you’re not in that same situation. You may even feel some form of elitism as you judge the victim for falling into that situation, perhaps even pridefully proposing that you wouldn’t fail if it were you in the same scenario. 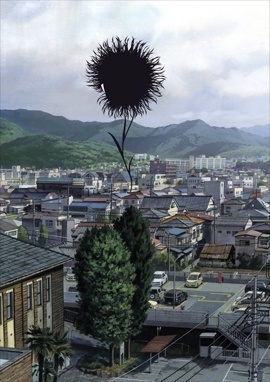 “Flowers of Evil” (惡の華 or “Aku no Hana”) is a manga series that was adopted into an anime for the Spring 2013 season. Even though this isn’t my favorite show this season, nor would I even consider associating the word “favorite” with this show at all, There was something about it that compelled me to write about it. Kasuga Takao is a boy who loves reading books, particularly Baudelaire’s Les Fleurs du Mal. A girl at his school, Saeki Nanako, is his muse and his Venus, and he admires her from a distance. One day, he forgets his copy of Les Fleurs du Mal in the classroom and runs back alone to pick it up. In the classroom, he finds not only his book, but Saeki’s gym uniform. On a mad impulse, he steals it. Now everyone knows ‘some pervert’ stole Saeki’s uniform, and Kasuga is dying with shame and guilt. Furthermore, the weird, creepy, and friendless girl of the class, Nakamura, saw him take the uniform. Instead of revealing it was him, she recognizes his kindred deviant spirit and uses her knowledge to take control of his life. Will it be possible for Kasuga to get closer to Saeki, despite Nakamura’s meddling and his dark secret? What exactly does Nakamura intend to do with him? I had no knowledge about the manga prior to the airing, but I briefly looked into a few chapters before the show began (I’ll be basing my opinions on the anime due to this factor). This is probably one of the most controversial and divisive shows in recent anime history for several reasons. The moment screen shots were leaked, the internet went ablaze with slander and criticisms from both foreign and local (Japanese) viewers. 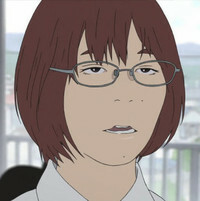 Anime review sites were flooded with negative reviews, and forums ran rampant with a still of Nakamura’s “derp face” leading the charge of posts flaming the show (here are some examples). The major complaint from viewers was due to the director and studio using rotoscoping for the character animations in the show. On one side, many felt that they strayed too far from the original art style in their use of real actors in animated form. Additionally, many felt that the quality of animation in the rotoscoping process wasn’t clean enough as a lot of the movements were jerky and looked unfinished. I’ve also heard complaints about them deviating from the source material in some areas. “Flowers of Evil” is also controversial with regards to its subject matter. According to its genre categorization, it’s considered as a psychological thriller, drama, romance, and “Bildungsroman” (or coming of age. Thanks, Wiki lol). I would say that this is one of the most “realistic” anime I’ve seen in a while, as there isn’t any ridiculously over the top characters, nor any elements of fantasy or sci-fi. Of course the choice of art style portraying the characters assists in that matter as well. The situations and character interactions for the most part feel like something you could potentially see panning out in the drama of your average (Japanese) high school. Yes, two of the main characters are quite twisted, but I suppose that shouldn’t be surprising given the depravity of man that is apparent just by watching or reading about your daily news. Without going too far into details outside of the synopsis, Nakamura is the catalyst that drives Kasuga closer and closer to insanity and corruption. If it isn’t obvious from the synopsis and its intended direction, Kasuga does fall…. and it most certainly is quite the fall at that. The soundtrack of the show is another one of its strong points. 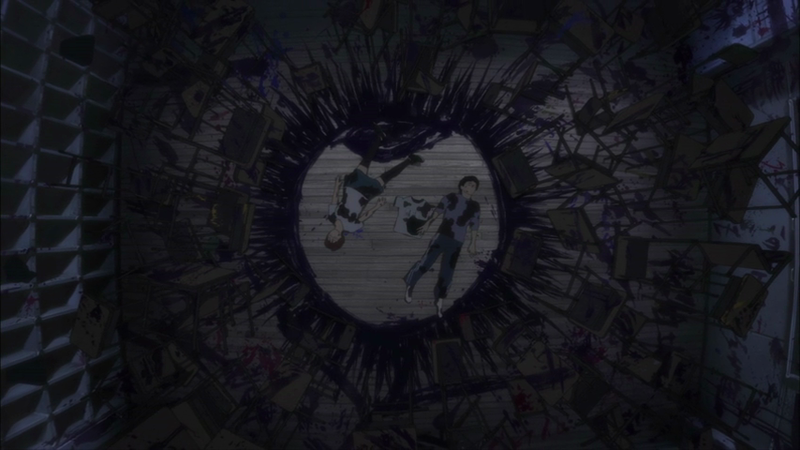 In the early episodes, it successfully sets the mood as it eeriely drones on in the background in scenes that simply portray normal, every day school life. Even the silence in some scenes along with the grey noise in others help to draw out emotions and discomfort from the viewer. The opening themes somewhat threw it off for me (particularly the first few episodes), and yet managed to be fitting at the same time. The ending theme in particular is one of the most memorable and creepy songs I’ve heard in a while, and I think it truly does represent “Flowers of Evil” perfectly. This show is without a doubt profound and disturbing. From what I hear it only goes further and further down the rabbit hole from here on out as well. I couldn’t possibly recommend this show to everyone. I can however say that “Flowers of Evil” has definitely left an impact on me. I’m not sure what it is in particular that draws me to continue watching. In any case, despite all the divisiveness this show has stirred in the anime scene, I’ll admit that “Flowers of Evil” has my attention. I anticipate witnessing the conclusion of this sad tale. Enjoyed reading this, just caught up with the series up through the end of episode 8. profoundly disturbing is dead on, this show is so realistic and shocking it’s not even funny, but it’s very compelling to watch. I want to use the word ‘enjoyed’, as in ‘i’ve enjoyed it,’ but i think the word is a bit too positive for such a dark show. i’ve been fascinated by the plot developments and will definitely keep watching, definitely one of the more interesting series this series. extremely well written and executed. flipocrisy.wordpress.com Create a free website or blog at WordPress.com.